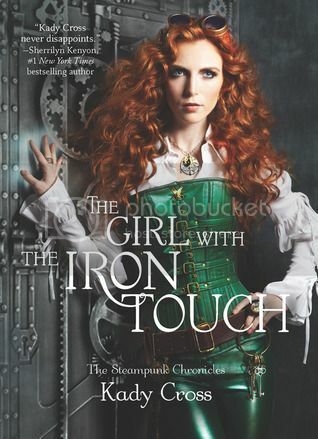 The Girl with the Iron Touch is another fantastic addition to the Steampunk Chronicles series. 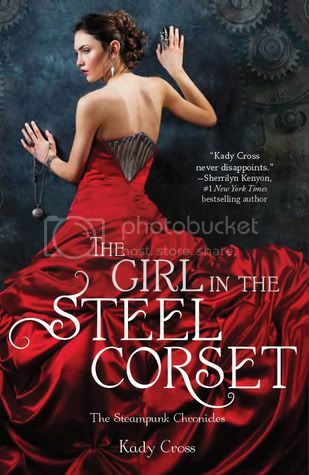 I have really enjoyed reading The Girl in the Steel Corset and The Girl in the Clockwork Collar over the past two years, so I jumped to read this final installment in the series. It was definitely worth the read! I must say, I absolutely love all of the characters in this series. Finley and Griffin are two of my most favorite couples ever. They are perfect for each other. Sam and Emily are a wonderful couple as well. I am so glad that Ms. Cross decided to write in such wonderful characters. I find Jasper and Jack Dandy to both be completely fascinating. The newest addition to the story, Mila, proved to be most fascinating as well. I would love to see her have a story of her own, maybe in the future. And it’s not just those to characters, but the rest of the characters in the story as well that are amazing. These are characters that I could read about again and again, Griffin and Jack Dandy especially. Wink, wink. The thing I love most about this series, other than its amazing characters, is the world building that Ms. Cross creates. 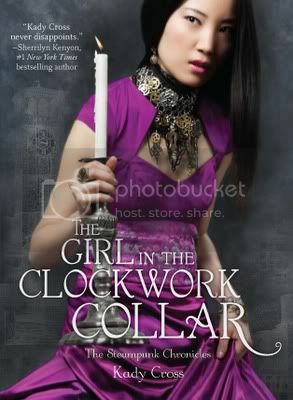 I adore all of the descriptions of the steampunk world that she created. I can envision them perfectly in my mind, and I find it completely fascinating. It amazes me how completely engrossed I can become in these books. They are definite page turners, and I definitely can’t get enough from reading them. Overall, I really enjoyed this series, and I hate to see it come to an end! But all good things must, unfortunately. If you haven’t checked out the series yet, I definitely recommend them for a good read. Check them out sometime! I've really enjoyed this series, too! Maybe that's why I've put off reading this book...I don't want it to end! I haven't read the second book yet, so I'm a bit behind, but I agree with you on the characters! I love Finley and Griffin, and Jack Dandy is definitely fascinating too! Really glad you enjoyed the last book - it is always sad to see a series end but there's always rereading! :P Fab review, thanks :). oh jeez I really want to read this series! I need to buckle down and just read book one this year.